Beyond speeding up experiments for very soluble samples, sub-mM concentrations and sample volumes of 15 to 115µl are easily handled by the systems. Samples are placed into disposable capillaries and gradient - shims are done only on the sample itself. Other advantages include the possible reduction of temperature gradient effects on the water signal in a 5mm tube and potentially better resolution on smaller diameter samples. 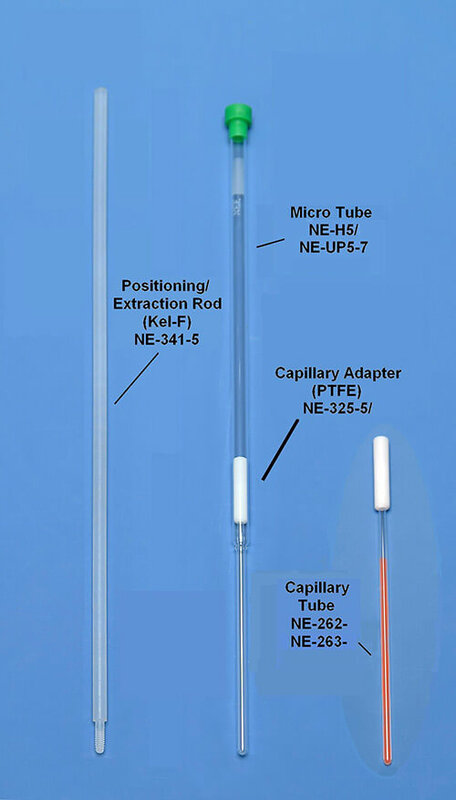 The residual (annular) space between the capillary and the tube can be filled with a lock or reference material as opposed to adding these materials directly into the sample. This not only keeps your sample as concentrated as possible, it allows easy access to multinuclear (1H, 19F, 2H) measurements.